Fullscreen slideshow images carry UI color data to switch menu, logo , captions and slideshow navigation to either bright or dark for better UI visitiblity. Logo and Menu can also have background color instead of being transparent. 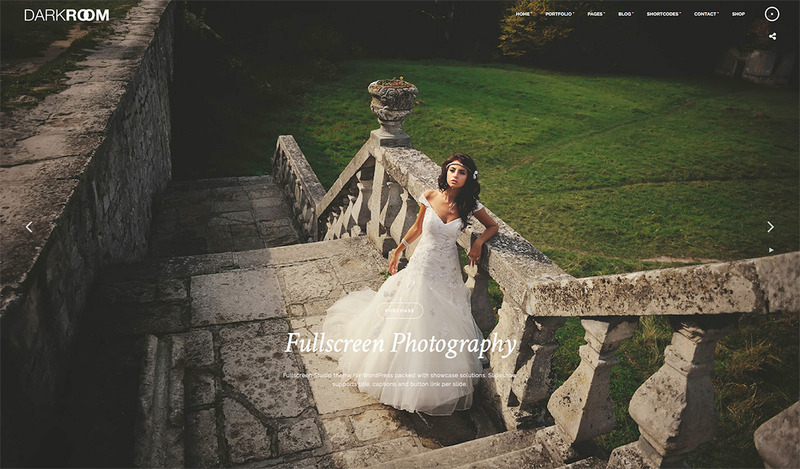 This feature is great to present fullscreen photography slideshows. FIX - Fullscreen slideshow caption link hover bug for some resolutions. FIX: Woocommerce products not listing properly. FIX: Better handling of background image thumbnail preview image in theme options. FIX: Photowall background displays when assigned as homepage. FIX: Photowall uses better image sizing to display photowall.